Repair corrupted SQL Database with the help of Stellar Repair for MS SQL. We recommend to all MS SQL administrators. Supports MS SQL Server 2016, 2014, 2012, 2008 and older versions. Microsoft has released many versions of SQL servers so far (which is nothing but its RDBMS) aimed at different audiences with different workloads – be it large internet-based apps or small single machines. It is designed with better underlying technology with each version, but sometimes it can go corrupt making the data inaccessible. This calls for a good SQL Database Repair software which can repair the SQL server database. 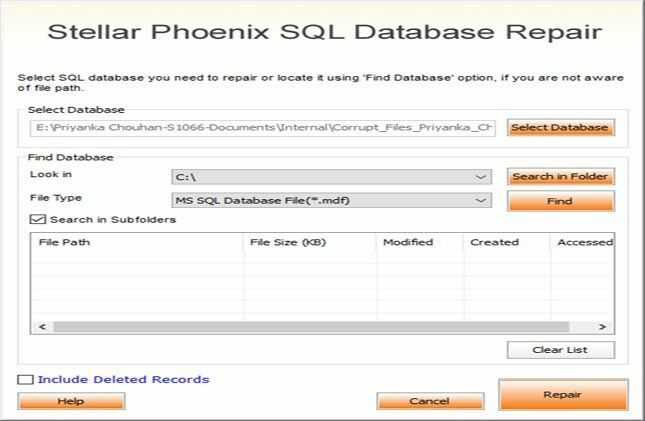 The best SQL recovery software you can find to access stored objects of corrupt database files again is Stellar Phoenix SQL Recovery Software.Their database repair software easily resolves all SQL server database corruption issues and fixes errors while working with it, thus making it possible to reverse the damage and retrieve all data objects from secondary NDF and primary MDF files. 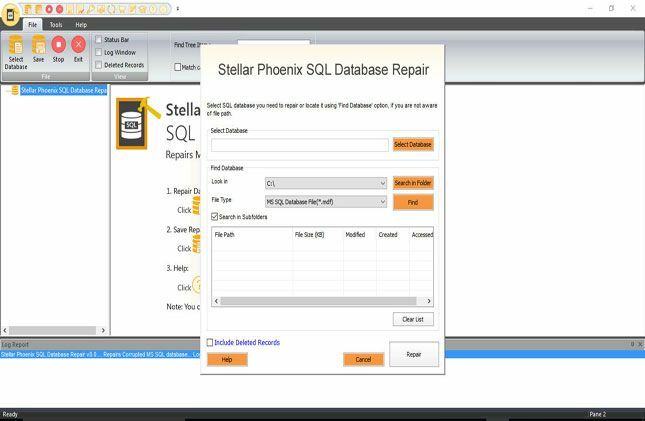 Stellar Phoenix SQL Database tool is designed with powerful features to do SQL database recovery while maintaining database integrity and with no data loss whatsoever. The tool works in all situations of database corruption to combat data loss. Be it virus attacks, unexpected system shutdown, OS malfunction, application crash, SQL server bugs or any hardware problem, this SQL recovery tool brings the database to a consistent state by scanning and correcting mangled entries. NDF (.ndf) is the secondary database file, and MDF (.mdf) is the primary file that contains system table information and database header. Both these files are victimized when corruption occurs, but this SQL Recovery software helps you get both back. The tool allows you to restore deleted records without changes using its repair function. You can then save them under the original file in a new table to compare with the corrupt file after its recovery. SQL server formats like XLS, HTML, CSV and MS SQL are all available within the software to save and open so you don’t have to install a separate server to open the file. The software scans the entire corrupted database including components like File stream data types, column set property, sparse columns, Keys, User Defined Functions, Rules, Stored Procedures, Triggers, Tables, Views, Indexes and more. All of this is displayed in a tree-like manner so you can view and select only what you need. 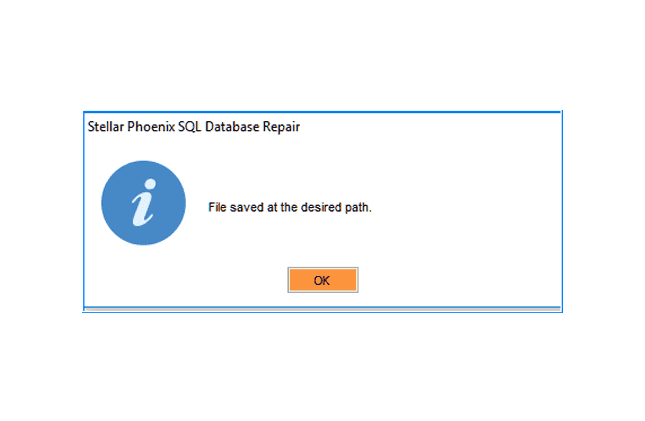 Stellar Phoenix SQL Database Repair allows you to recover only specific database objects from the list and save it to a new location on the computer. 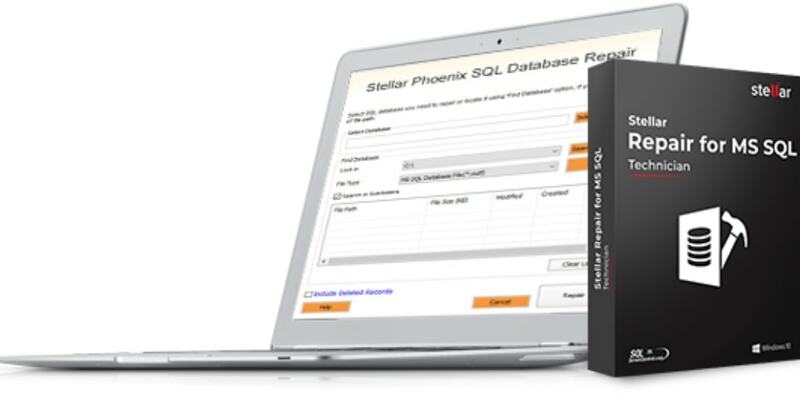 Download Stellar Phoenix SQL Database Recovery software from the official website and install then run it. Select the SQL database you need to repair by clicking on “Select Database” and choosing the file from its location. If you are not aware of the file path, the software can help you locate it. First, choose the drive it is saved in (C drive by default) and then select the type of file you’re trying to locate and then click on “Find”. Make sure the “Search in Subfolders” box is checked. From the list of options, the software finds double-click to select the corrupt MDF file. Once you’ve selected the file, click on ‘Repair’ on the lower left side to get started. Stellar Phoenix SQL Database Repair works at amazing speeds to recover all the objects in your corrupt file. It will then display it in a tree-like structure. Clicking on an item in the left pane will open its content in the middle pane. You can also find a specific table by typing its name in the ‘Find Tree Items’ box and then choosing ‘Match Whole Word’ or ‘Match Case’ if necessary. Select all the components from the middle pane that you would like to recover and click on ‘Save’ in the Quick Access Toolbar. A pop up will then ask you to select a destination for saving. Once you enter the desired server/instance name, click on ‘Connect’. That’s all! A message saying “File saved at the desired path” indicates the completion of this very easy task of SQL recovery using the best SQL recovery software. The interface is intuitive and very simple; making the user feel like the repair process was almost automatic. Its flexible options, ease of use, and scanning performance make it a great tool for database users to resolve daily database corruption issues.